Global Halal Technology Serpong (GHS) is one of our business partnerships with Global Haltech Sdn Bhd which is our parent company to establish new Halal testing laboratory in Indonesia. HALVEC held responsibilities to give consultation and training to GHS staffs. 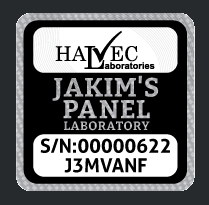 HALVEC will guide starting from establishing the laboratory until gaining accreditation for all testing services. This will include the method of analysis, parameter for accreditation and etc. to fulfill requirement of Halal lab. Thermo Fisher Scientific is worldwide known as established company in supply lab equipment. The cooperation between Halvec’s Expertise in Halal and Thermo Fisher Scientific advanced technology will establish and validate method for detecting porcine trace in collagen/gelatine-based sample by using LC-MS/MS which is one of their current latest model and powerful technology. One of the crucial issues about Halal that recently being discussed is collagen/gelatine in food, personal care, cosmetic and pharmaceuticals products. Muslims, Jews, and Vegan is concerned about this issue because collagen/gelatine which is derived from animal. Most of the collagen/gelatine that currently being globally supplied is from pork. As we all know, personal care, cosmetic, and pharmaceutical products ingredients contain various chemicals and highly processed compounds which will lead to damaging traces of DNA. Thus, the DNA analysis unable to detect porcine traces in these type of samples. This cooperation is aimed to gain new findings in Halal Industry and significantly introduce more reliable techniques in Halal science.